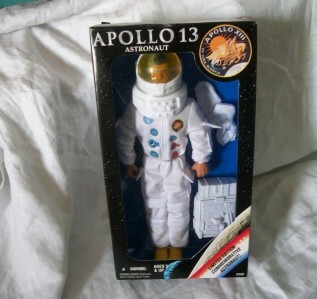 From the Universal studios Movie Apollo 13 c1995 comes this limited edition Astronaut doll MIB similar to that of the GI Joe . *outfit, helmet, boots, gloves and backpack. ** box may show some storage ware, but over all very good unopened condition.